Since visiting Mexico City last October and exploring the fantastic fine dining scene currently on offer, I’ve been hungry for authentic Mexican flavours. 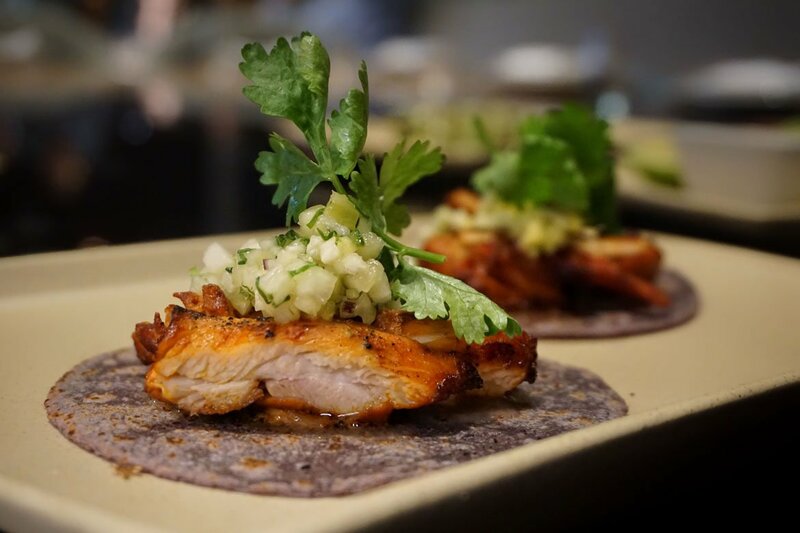 As most foodies will know, true Mexican cuisine is far from the Tex-Mex style of most western Mexican establishments. It’s not easy to replicate these flavours outside of Mexico, it takes staff who know what they are doing (i.e, from Mexico) and authentic ingredients (again, from Mexico). 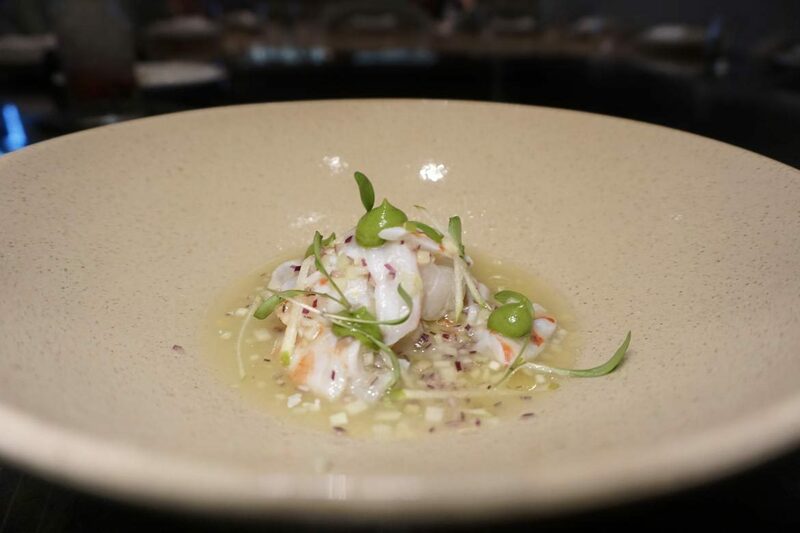 Peyote has managed to gather both of those key ingredients and serve them up in a beautiful setting in Dubai’s fine dining hub, DIFC. Speaking of that beautiful setting, tiles and fixtures have been imported from Mexico, and I love that Peyote respects it’s heritage from the ground up, despite being a London based concept. 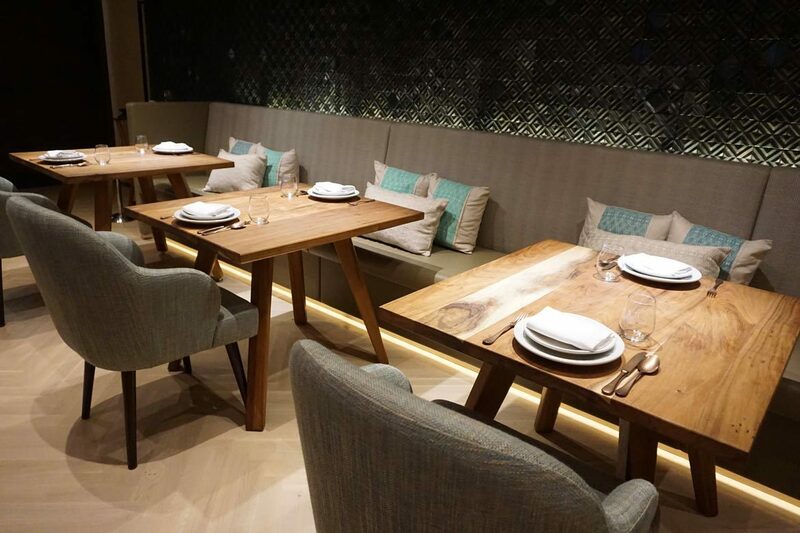 Dubai has a lot of competition in the pan-Latin space, but judging by the fact that Peyote was 75% full on a weekday lunch I’d say their offering has been well received by DIFC’s admittedly spoilt diners. It’s a large menu, sharing style of course, and I love that there’s so many options it would take you several visits to experience them all – but it can be overwhelming at first. Let me guide you with some recommendations of our must-order dishes. When it comes to the snacks section, you can’t go past the Jalapeño Fritos (45dhs). 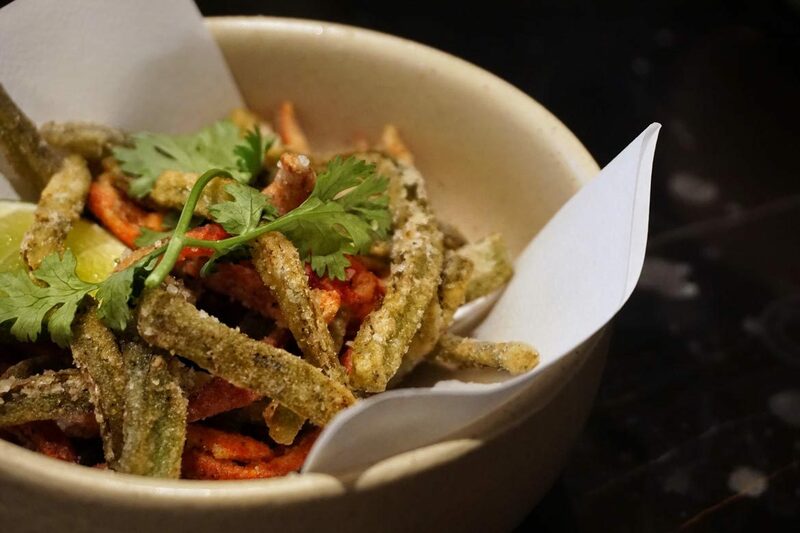 These jalapeño fries will make you wonder why potato was ever considered a suitable substitute for these beauties. Guacamole y tostadas (42dhs) is of course on offer, but for me, the addition of green tomatillo made the overall mix too sour for my liking. 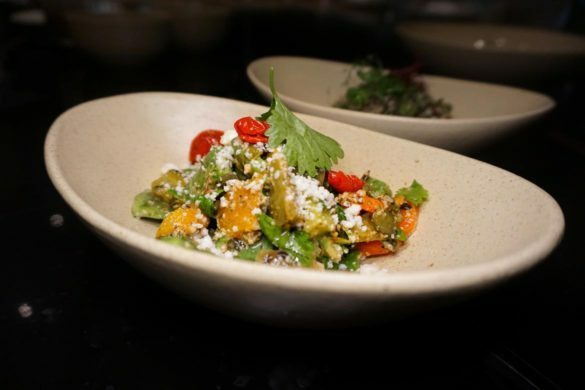 The table is provided with tostadas and a mix of refined salsas of varying degrees of heat – take heed when it comes to how liberally you apply the habanero! My fellow diner informed me that Peyote’s calamari was also perfectly cooked and super fresh. Speaking of fresh, Peyote’s Quinoa & Huauzontle and Nopales salads (45dhs each) are exactly that. 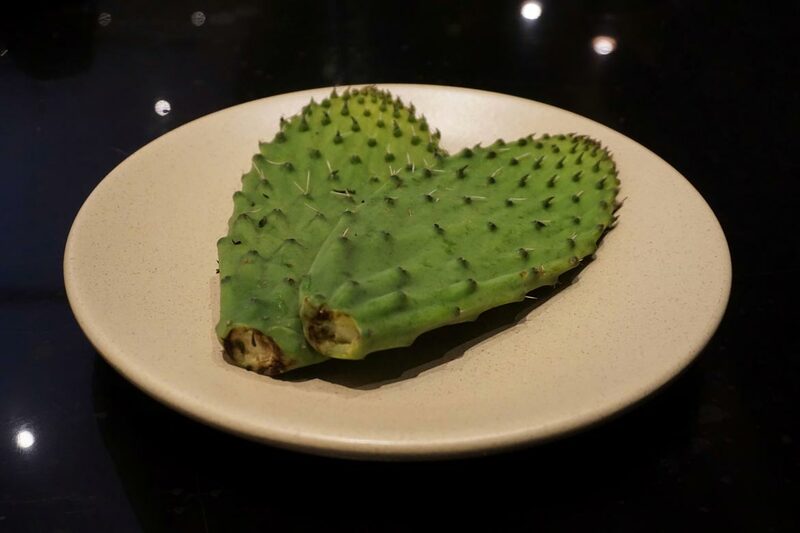 If you haven’t tried the latter (that’s prickly pear paddles) then I definitely recommend you do – it doesn’t get much more Mexican than Nopales. 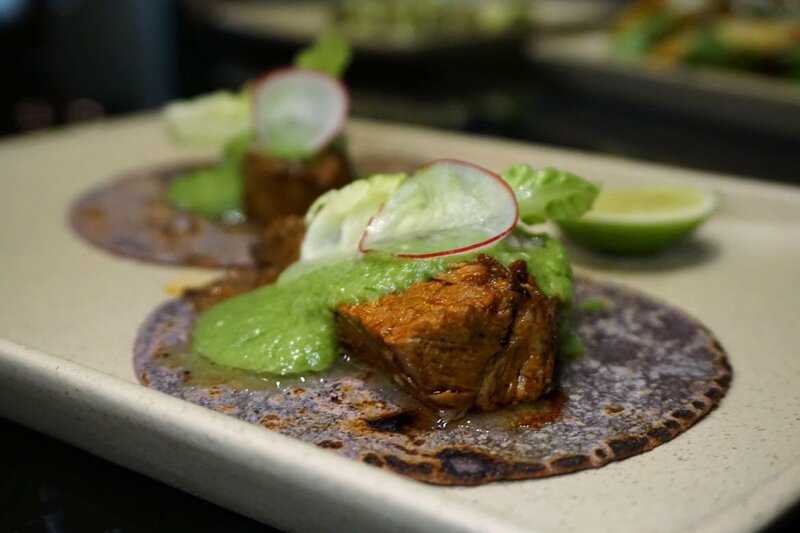 Peyote’s very authentic soft tortillas are the base for their tacos, and we tried the beef short rib, chicken adobo and tempura avocado flavours – picking our favorite would be a tough order! 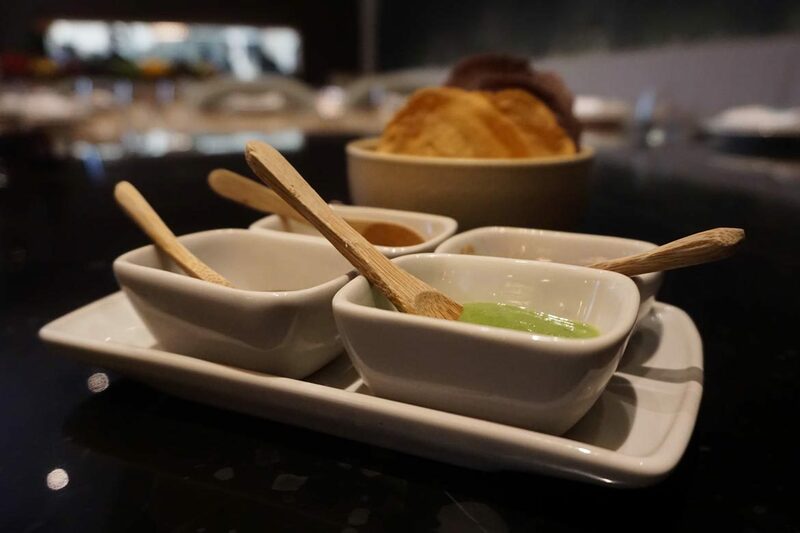 Ask for a side of their delicious jalapeno aioli to add to the tacos – this is some seriously good sauce. 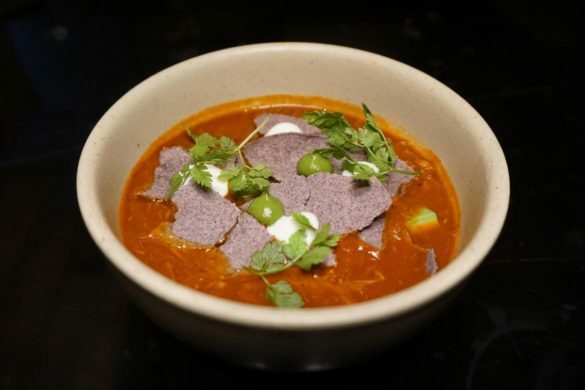 Not listed on Peyote’s website are their fantastic Sopas, or soups. We tasted the Gazpacho Verde (25dhs) and the Sopa de Tortilla (28dhs). 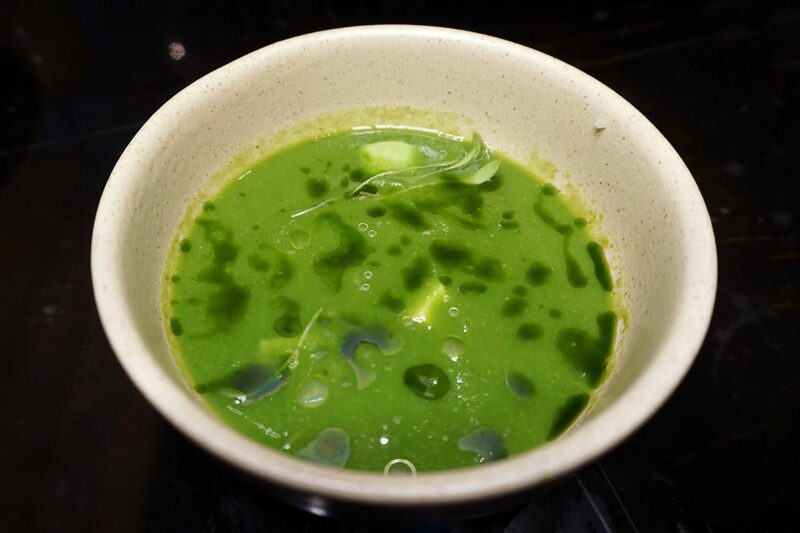 The former, a verdant blend of green tomato, tomatillo, cucumber and wild basil wasn’t a favourite of my fellow diners but for me, it strongly echoed familiar tastes I’d experienced in Mexico so got my seal of approval. The tortilla soup, a bargain at 28dhs, was so hearty it could have been an entire meal for one with corn tostada, sour cream and avocado in a tomato base (beef was also in ours on the day we dined). In crunchier territory, we tasted the Tostadas de Verduras (58dhs), or vegetable tostadas, and the Quesadilla de Hongos (52dhs). 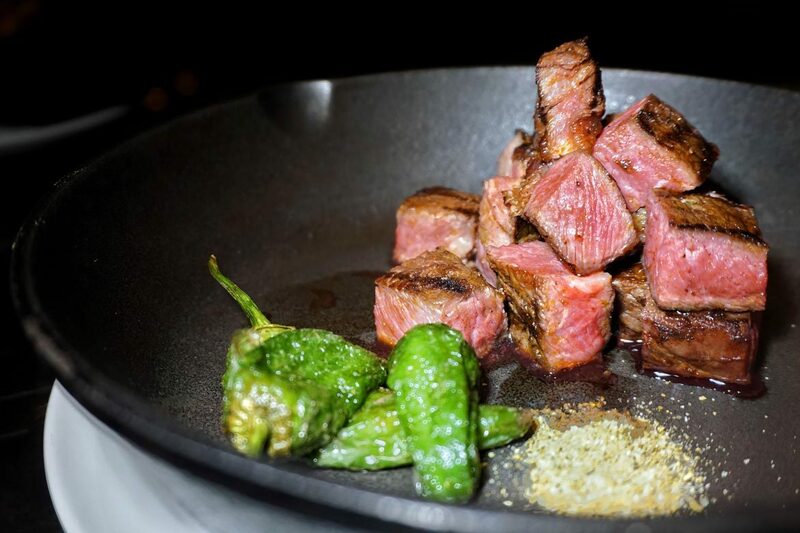 Both adequate, but given the size of the menu, I’d save space for the Carne on offer. 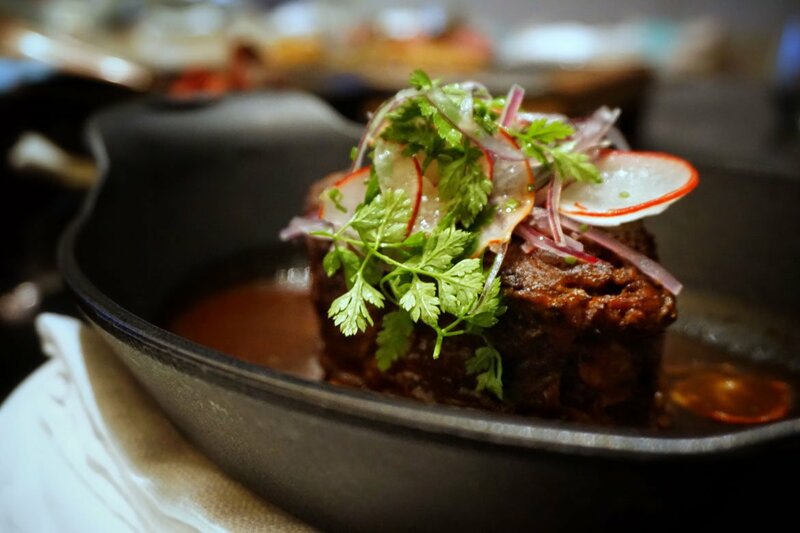 Whilst we found the lamb (Barbacoa de Cordero, 195) much too funky when it comes to flavor and a tad dry (admittedly, I’m used to the milder flavor of New Zealand lamb), the beef seriously impressed. 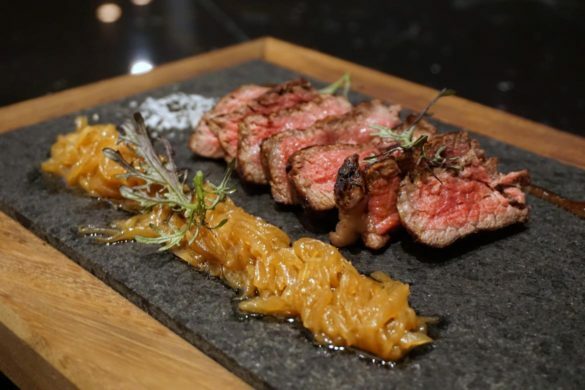 We tried two beef dishes, the Lomo de Wagyu (320dhs) and the Chuletón con Mantequilla de Cilantro (210dhs). Although both were seriously delicious and had us battling forks to steal the last piece, the winner was, surprisingly, the latter (and cheaper) of the two – chargrilled ribeye with cilantro butter and smoked salt. The juiciness and huge flavor hit of this dish can only be described as simply sublime. 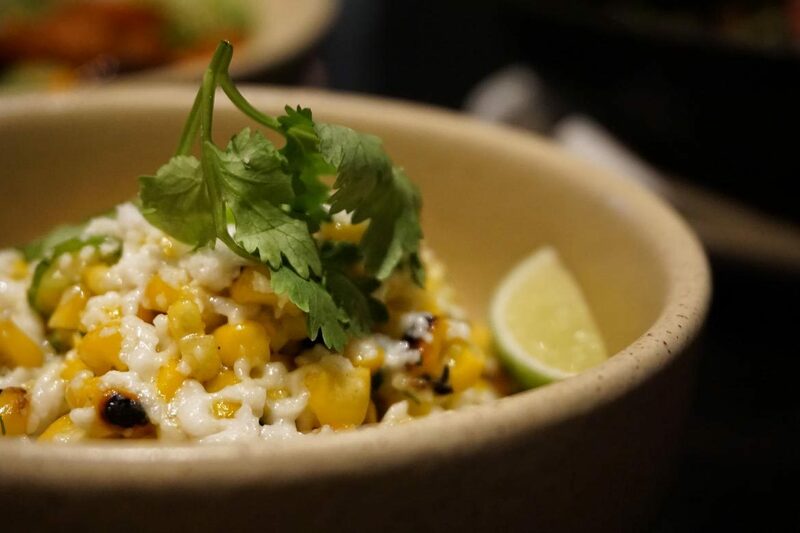 Pair it with the Esquites (40dhs), grilled sweetcorn, jalapeño mayonnaise and queso fresco, for foodie heaven. I was eagerly anticipating the Puré de Camote al Chipotle (35dhs), but this sweet potato puree was too smoky for my tastebuds. Dessert doesn’t disappoint with a delicious version of the mandatory Tres Leches (48dhs) and Churros (42dhs) that come accompanied by chocolate and cajeta, a caramel sauce made with goats milk that wasn’t anywhere near as scary as it sounded. We also trued the Oaxaca Chocolate (45dhs), but from the menu description of chipotle mousse I wanted a lot more of a chili hit from this dish. 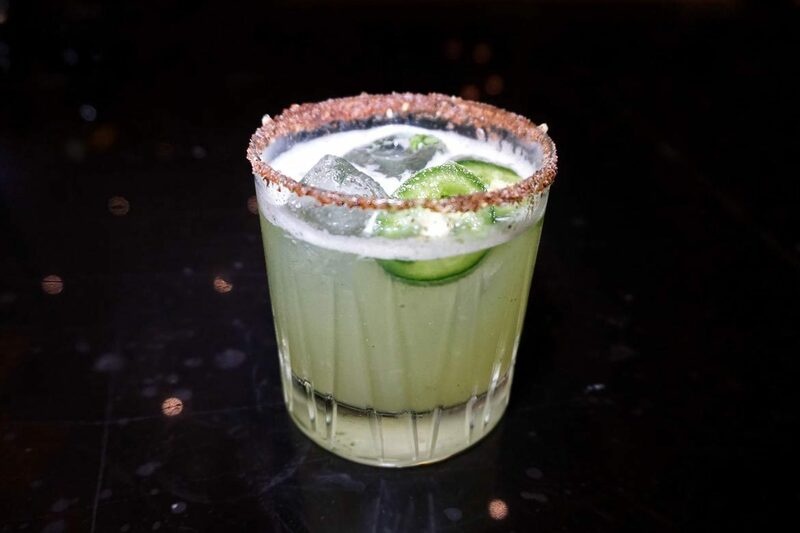 Drinks carry just as much of a flavor hit as the food at Peyote, with a fantastic Margarita offering leading the charge. 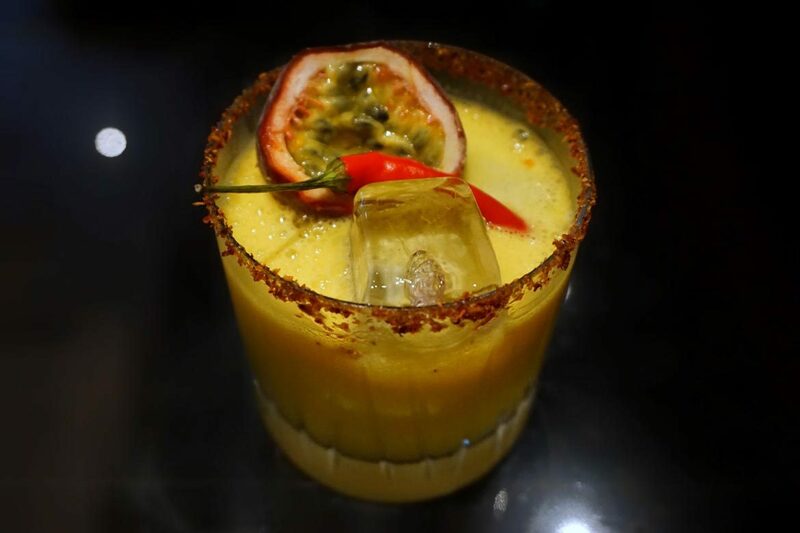 The Peyote Margatita is a winner with it’s tiny vial of Mezcal, and the chili and passionfruit version combines all of my favourite things into one glass – gorgeous. There’s also a good selection of wines on offer, with eight options coming in at 300dhs or under and four Mexican varietals available by the glass – a very cool touch. 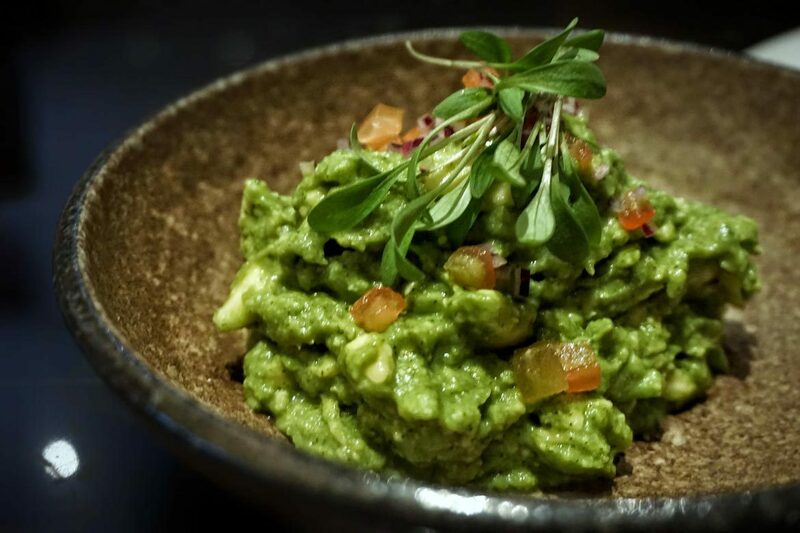 If you’re looking for an authentic taste of Mexico in Dubai, but of course with the usual touch of Dubai glamour, head to Peyote. 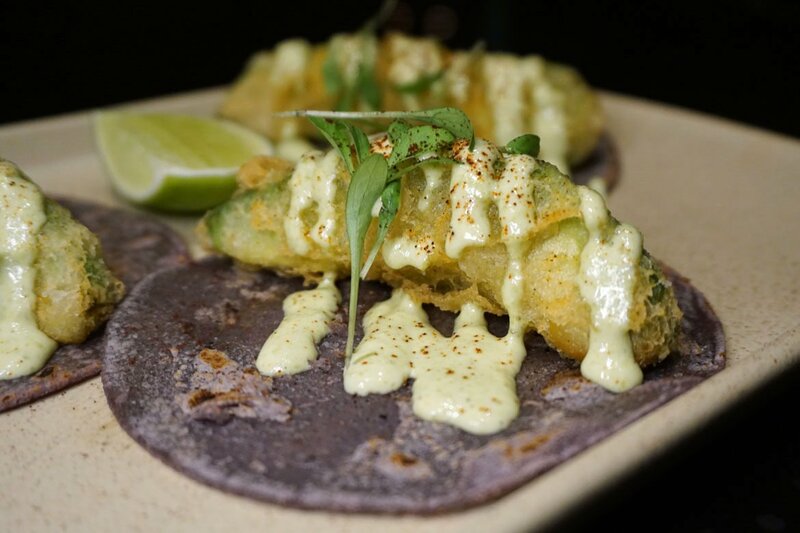 Must order dishes: Jalapeño fries, Chuletón con Mantequilla de Cilantro, Esquites - and a margarita or two!